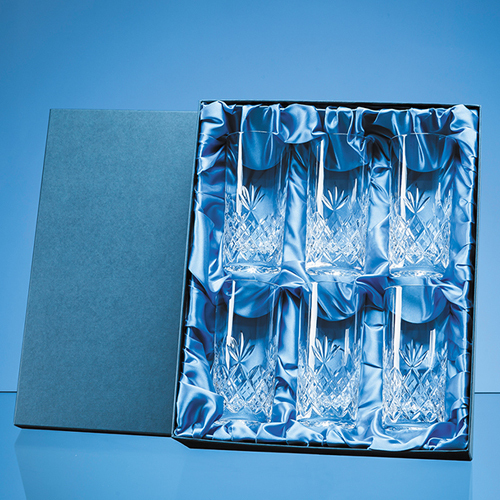 This beautifully presented Blenheim lead crystal cut high ball gift set with a stylish diamond and wedge cut pattern will bring an air of glamour and classic elegance to your home. With 6 chunky glasses are presented in a deluxe blue satin lined box they are the perfect gift for any occasion from birthday, wedding, engagement or retirement  the choice is entirely yours. Plus they will fit perfectly with other pieces from the Blenheim collection.